I like the ease of use that IntAcct provides. It is easy to transition and to teach. I can easily tell where everything is and most items link back to original entries and give the option to change them if necessary. I do not like the transition to a drop down menu instead of the quick tabs that were originally there. I also think that there should be a feature search bar. If I know what I'm looking for, but I do not know what section it's in, I should be able to search and select it from a search menu. IntAcct is a great software. I would suggest always using the newest format available. I have partnered with Massey Consulting though several organizations and on multiple accounting products over the last 15 years. Philip and his team are great for giving recommendations to help solve process issues. They are true partners and understand that their client's success ultimately leads to their success. Years ago, responsiveness to support issues was a little on the slow side, but that has greatly improved with the addition of knowledgeable support staff. No complaints now! Heading into a project, ensure you take the time to scrub your data and understand the options of the new system you will be implementing to take the greatest advantage of all it's features. Make sure you have enough resources (people and/or time) to set things up right the first time. "We have used Massey for our consulting for many years. They are very knowledgable"
The relationship I have developed with Massey over the years. They are there to help and we talk about general stuff too. They are considered friends and well as our IT support group. I would recommend them to anyone in need of support. The knowledge Is phenomenal. Each person has his or her special talent when it comes to solving issues. I don't like putting in tickets. I always got faster service and better attention when I called. I'm sure it is suppose to help matters but in our case it does not. Somehow, we get forgotten or overlooked when using the ticket process. "Awesome experience working with Massey!" Super easy to work with, able to quickly schedule meetings that work for. us and our consultants, the project management software was easy to use and go back to see where we stand on the implementation and what the next steps are, our consultants checked in with us to see how things were going and were always available for questions. They know what modules to recommend that fit our company. There is nothing that I disliked while working with Massey. Make sure you have the time to dedicate to your project. It will make your implementation process 10x easier. 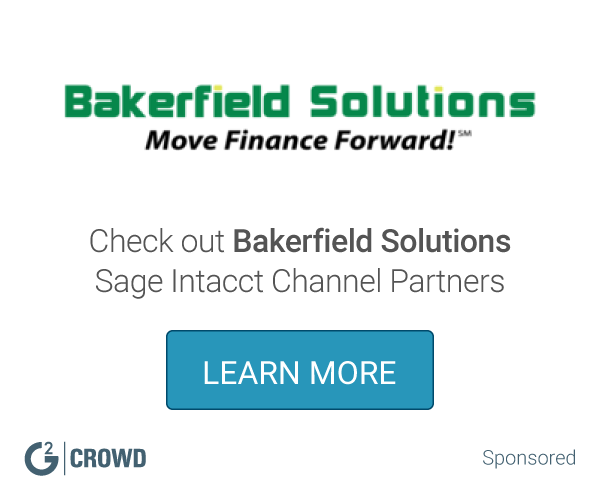 "Consulting engagements and on-going support for Intacct." Jim Stubanas, the consultant is not only a subject matter expert in Intacct, he understands accounting in practice and took the time to get a deep understanding of our business model. I did not have any negative interactions. The knowledge Massey Consulting brings to the table. Massey raised questions during implementation that assisted us in reevaluating certain processes and making adjustments as needed. Massey's arsenal of options may seem overwhelming to a company when looking into how to handle a specific software solution. The options are presented in a way that allows a company to evaluate and make informed decisions that are best for their company. Highly recommend the Massey team. The efficiency of training and implementation. Nothing that I can recall, I would have preferred more on-site vs remote, at times. I would recommend Massey to anyone interested in getting the job done with professionals. I've always had a good experience with Massey Consulting consultants. They are very knowledgeable and have always been very responsive. I don't have anything that I can think of that I dislike. "Getting the most out of Intacct"
Massey has a good knowledge of Intacct and the partner marketplace. I haven't found anything I dislike. They have been able to help us with our planning/growth. Billies sense of urgency to help and make sure we are satisfied. The hourly rate for the service seems high, but it is competitive with other firms doing similar work. If you are looking for Dynamics GP experts, Massey is the one. * We monitor all Massey Consulting reviews to prevent fraudulent reviews and keep review quality high. We do not post reviews by company employees or direct competitors. Validated reviews require the user to submit a screenshot of the product containing their user ID, in order to verify a user is an actual user of the product. Hi there! Are you looking to implement a solution like Massey?